Professional Development Seminars are scheduled throughout the year on cutting edge topics. The seminars are delivered by national an international presenters. Many of these are eligible for CPD points. In addition, in-house seminars delivered at your clinic are also available by request. These 3 hour seminars are the perfect way to get all your staff educated on the latest research on highly relevant topics and practical use of our products to deliver the best possible outcomes for your patients. Check out our Events Calendar for Upcoming Seminars in your area. We have a number of our past seminars recorded and available for purchase. These are packed with information and are available to watch online or download to view at your convenience. The accompanying notes for these presentations are provided with your purchase. 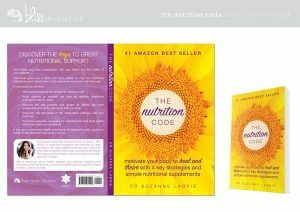 The Nutrition Code by Dr. Suzanne Labrie. 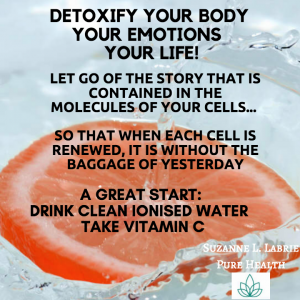 This is an informative and practical book designed for health professionals but also accessible to those who have a keen interest in understanding and maintaining excellent health. The copies can be purchased as a single item for personal use or in larger quantities at a discounted price to be sold at your clinic. Check Out our blog for interesting articles and news.